The quatrefoil design on this wall cross is rich in symbolism. 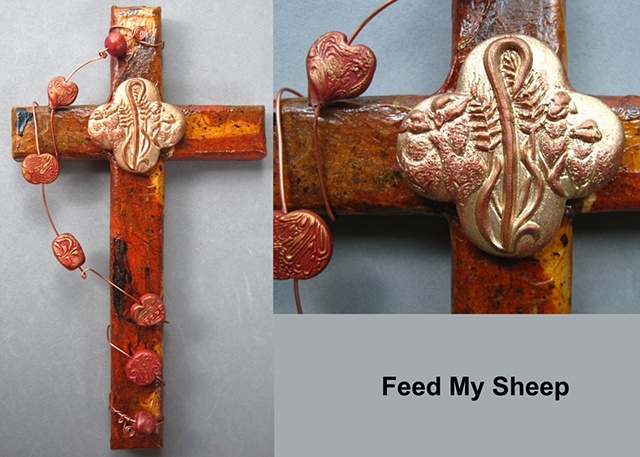 The theme of this cross is about our relationship with our Lord as the "sheep of his pasture" and our own call to "feed his sheep" by taking the gospel to the ends of the earth. Click here for more about this design symbolism and jewelry form.